Delivery: Dispatched by email in 2 business days. 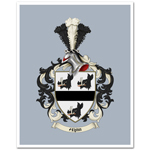 Great for anyone wanting to get a tattoo of their coat of arms, you choose the style, let us know your surname, and origin, and we supply you with a graphic that you can take on disk to any tattooist so that he or she will be able to work with you to finish it off with any personalizations and then apply it to your body. Please note the price is for a graphic for your tattoo artist to copy onto your body and not for the tattooing as well. 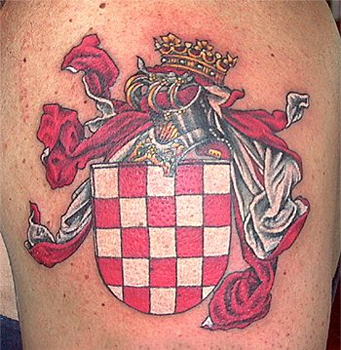 Why not send us a photo of how your finished tattoo looked so we can display it on our gallery.